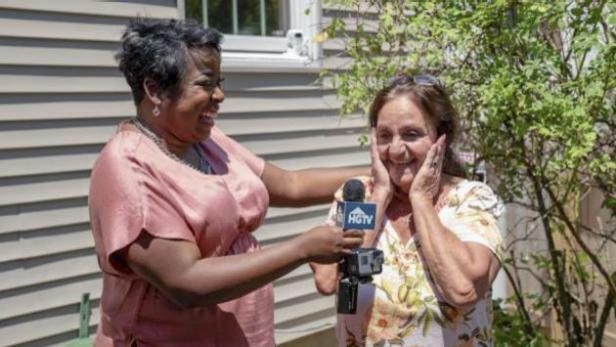 HGTV Host Tiffany Brooks surprises Josephine Montgomery of Farmingdale, New York, that she is the grand-prize winner of the HGTV Smart Home 2018 located in Buffton, SC. Congratulations to Josephine Montgomery, a retiree from the village of Lindenhurst on New York’s Long Island! 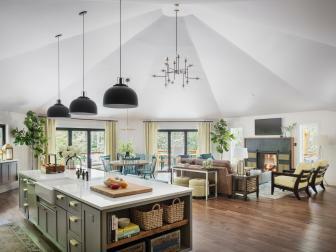 She is the proud winner of HGTV Smart Home 2018, a grand prize package worth over $1.6 million. Josephine's name was randomly drawn from 95 million entries. Tiffany Brooks surprises the winner of HGTV Smart Home 2018! 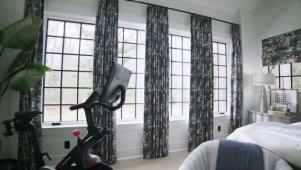 Tour this charming, Southern-style home packed with modern technology. Tour of the relaxing outdoor spaces at HGTV Smart Home 2018. 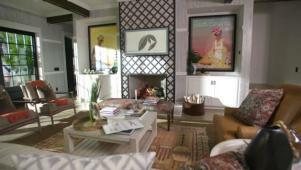 Tour the great room at HGTV Smart Home 2018, a coastal escape with eclectic style. 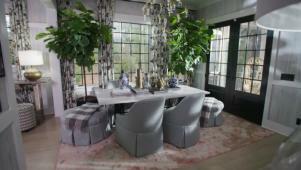 Take a design tour of the HGTV Smart Home 2018 dining room, a charming spot to entertain. 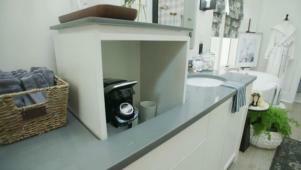 This smart kitchen may make you reconsider ever eating out again. 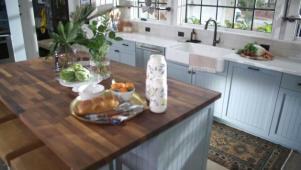 With its smart design, the HGTV Smart Home 2018 kitchen can do it all. 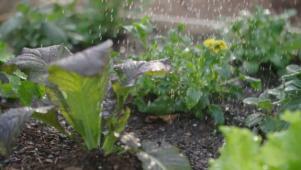 Get gardening inspiration from the raised beds at HGTV Smart Home 2018. 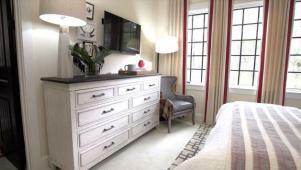 Tour the serene and stylish master bedroom from HGTV Smart Home 2018. 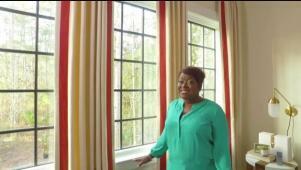 See stylish window treatments used throughout HGTV Smart Home 2018. Check out dazzling design and tech from the HGTV Smart Home 2018 master bath. 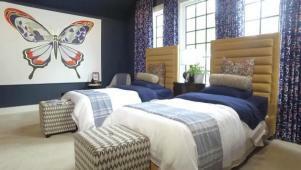 The guest bedroom from HGTV Smart Home 2018 has a rustic, global style. Discover symmetry and style in this bold and playful bedroom from HGTV Smart Home 2018. Find out which bedroom from HGTV Smart Home 2018 best suits you. 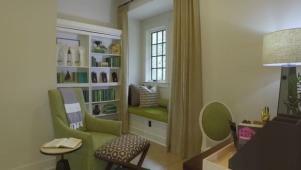 Check out the flex space, and hidden nook with a virtual reality room at HGTV Smart Home 2018. 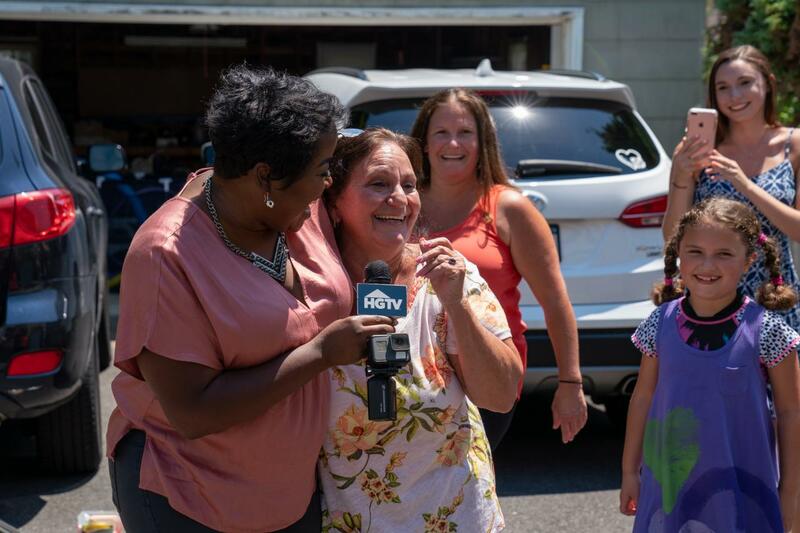 The HGTV ambush crew worked behind the scenes with Josephine's family to break the exciting news, piggybacking onto a barbecue planned for her daughter’s birthday and wedding anniversary. After all the gifts were opened, Josephine's grandkids asked her to watch a video they put together. 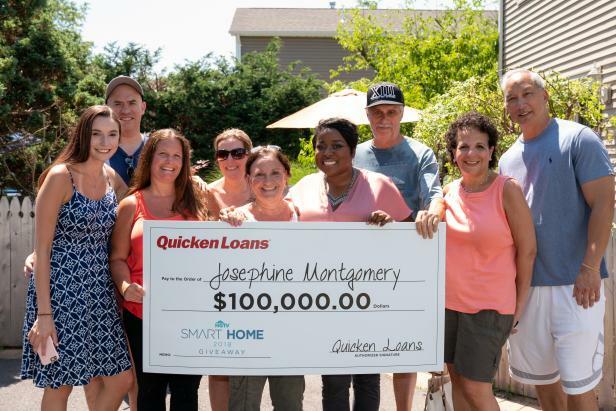 The Montgomery family poses with HGTV Host Tiffany Brooks as she surprises Josephine Montgomery of Farmingdale, New York, that she is the grand-prize winner of the HGTV Smart Home 2018 located in Buffton, SC, along with other prizes including a Mercedes and a check from Quicken Loans. Josephine was met with a crowd of unfamiliar faces. “At first, I thought it was Candid Camera,” she noted with a laugh. But one person stood out – it was none other than Tiffany Brooks. “I was shocked. I knew it couldn’t be Candid Camera if Tiffany was there.” It was then that she received the good news, and everything after was a blur. “I just remember it was very hot,” she added. In 2012, Josephine's house in Lindenhurst was completely wiped out in the devastation caused by Hurricane Sandy, so this bit of home-related news was decidedly more welcome. Though she never imagined she would actually win, she’s a close follower of HGTV’s home giveaways and always loves the design work. 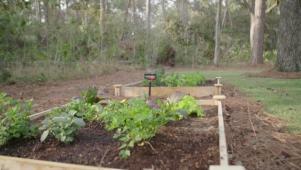 “They’re all done beautifully,” said Josephine. She has never been to South Carolina, but Josephine and her husband will get a chance to visit the home for the first time in the coming weeks. 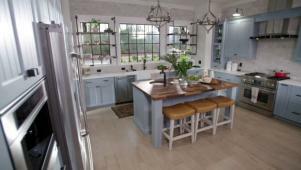 Viewers can witness her reaction to the ambush and the home itself by watching the HGTV Smart Home Giveaway Special premiering Friday, August 17 at 1 p.m. ET on HGTV. 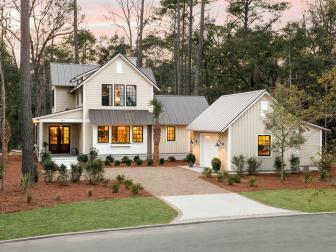 See every stunning space from HGTV Smart Home 2018, a Lowcountry home with modern design located in Palmetto Bluff. 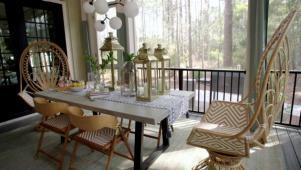 Located in Sapphire, North Carolina, DIY Network Ultimate Retreat 2018 is a cozy wooded escape with thoughtful design. 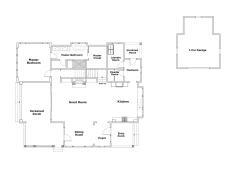 With approximately 2,850 square feet of space, this 3-bedroom, 3 1/2-bathroom modern coastal escape is centered around an open and airy living concept. 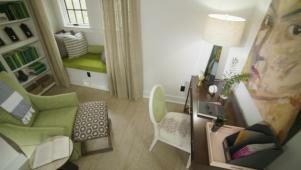 Get acquainted with the floor plan in South Carolina.